I am sorry to say this one isn't doing it for me Sharon. The kite is too small in the picture and the sky isn't very interesting. Kites that high up need a long lens and good panning skills. I kinda like it. I agree the kite is too small but not by much. 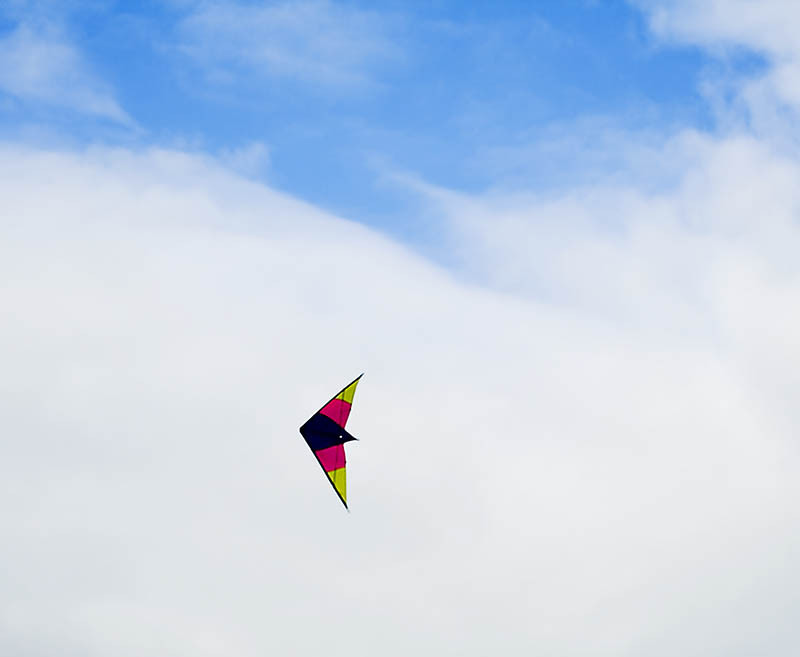 you could you copy the kite to another layer and move it up and to the right a little. Then crop some of the white out to make the kite bigger in the pic. Sharon would you mind if I use this picture to play with? thanks Stewart & John, i wasn't sure if this crop worked or not Stewart, i was going to crop closer but i wanted to keep some blue and some clouds, John please do have a play would you like the original? Thanks Sharon I down loaded the pic shown here. If it works I'll get the original from you and play some more. Yes, I moved it and then had to do some clean up around it. I'll see if I can put something together.